Two Tone: Please refer to available lace colors for Couture Satin Face Chiffon. 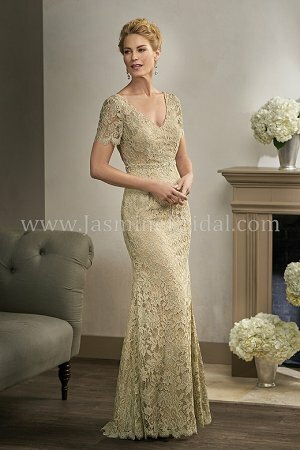 Exquisite Lace with Stretch lining mother of the bride dress. Fitted, short lace sleeves and beautifully beaded belt along the waist - all in the colors black and mica.